Apparently, there is more to Suraj Venjarammoodu than the done-to-death dialect, tasteless mimicry and cringe-worthy comedy. Like Salim Kumar did a few years back in Adaminte Makan Abu, Suraj Venjaramoodu has turned in a fine performance in Perariyathavar which has won him the coveted Award, that he shares with Rajkummar Rao (Shahid – Hindi). Credit goes to Director Dr.Biju for bringing out this face of Suraj Venjaramoodu. Dr.Biju also takes home the Award for Best Film on Environment Conservation/Preservation for the same film. Other Winners in Malayalam Cinema include D Yuvaraj for Best Audiography (Re-recordist of the final Mixed Track) for Swapaanam and Cristo Tomy for Best Debut Film of a Director for Kanyaka. North 24 Katham directed by Anil Radhakrishnan Menon and produced by Surya Cine Arts was chosen as the best Malayalam Feature Film in the Regional Films Category. Suraj Venjaramoodu on the origins of his “trademark dialect” that pigeon-holed him. Congratulations for Suraj. I think he is the second comedian after Salim Kumar to bag this great achievement. In fact, twice Adoor Bhasi bagged the best actor award in the State. Right? Not yet Narayan, but am definitely adding it to my bucket list. thanks. 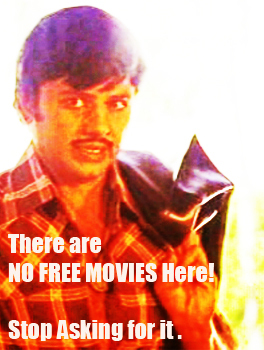 have you seen the film Perariyathavar?